Nintendo announced yesterday Animal Crossing: Pocket Camp for mobile was set to launch on November 22 local time, but it appears the game has already hit the App Store, a day earlier than expected. Welcome to Animal Crossing: Pocket Camp! Step out of your busy life and into a relaxed camping atmosphere full of animal friends and the splendour of nature. Upon your arrival at your destination, you’re named the manager of the campsite! Don’t worry, though, it’s a simple job. 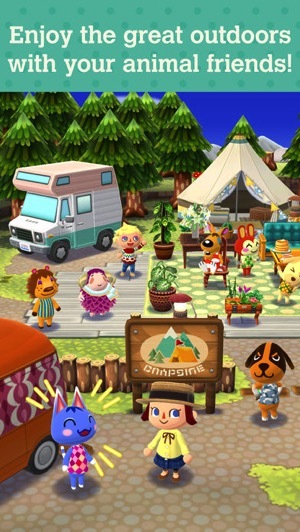 All you need to do is choose whatever furniture, tent or amenities you like, arrange them in your campsite and invite animals to visit to liven the place up! In Animal Crossing: Pocket Camp, every day offers something new! Have fun customising your camper van, visiting friends’ campsites or exploring the area for new animals to meet. 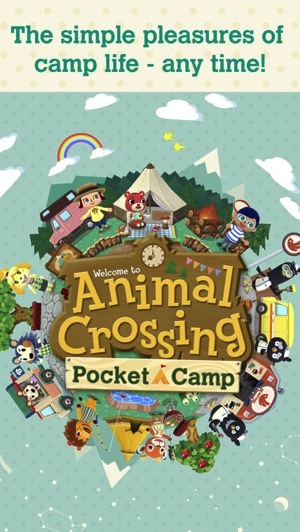 Click here to download Animal Crossing: Pocket Camp for iOS in the App Store–it’s a free game powered by in-app purchases, and comes in at a 106MB download.